This review was written by my student Andy. I was pleased to read this review because I personally had never heard of the book and it was another one I could add to my "wish list" to read. I hope you enjoy it as much as I did. 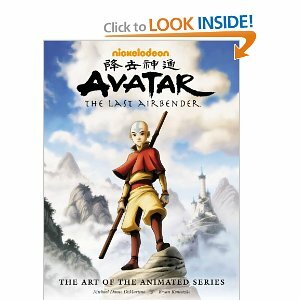 Avatar the Last Airbender is about an airbender who his destiny is unknown. He was found in an iceberg in the South Pole by Katara (a water bender) and Sokka (a "warrior) of the water tribe. Aang is struck with unbelief when he hears that he has been in the iceberg for 100 years. He also finds out that he is the last air nomad. Meanwhile near the fire nation war ships... A fire bender (Prince Zuko) spots unusual lights and assumes that it is the avatar (Prince Zuko must restore his honor). Later on Aang and Katara go on an old fire nation warship and get stuck. Then the ship sends a signal in the air and Prince Zuko pursues the stranded ship. I think this book was good because it has a good sense of adventure and mystery at the beginning. Also, I would recommend this book to anyone who would like a good adventure book with a little hint of mystery. The anime Avatar! The last airbender it is a great scene for all anime lovers! It is incredible in all it is doing! I am a lover of anime action, so i love it a lot!Thanks for the article!